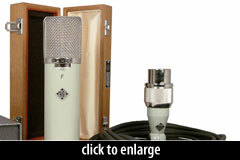 The ElaM 251 F is a large-diaphragm tube condenser mic, presented as a low-cost version of Telefunken Elektroakustik’s historically-accurate ElaM 251E reproduction. The 251F has an imported, “modern” power supply, rather than the historically-accurate “lunchbox”-style 251E power supply. The 251F uses the company’s TK-12 capsule, rather than their CK-12 capsule. The 251F’s “no frills” packaging does not include the the vintage-style locking flight case of the 251E. 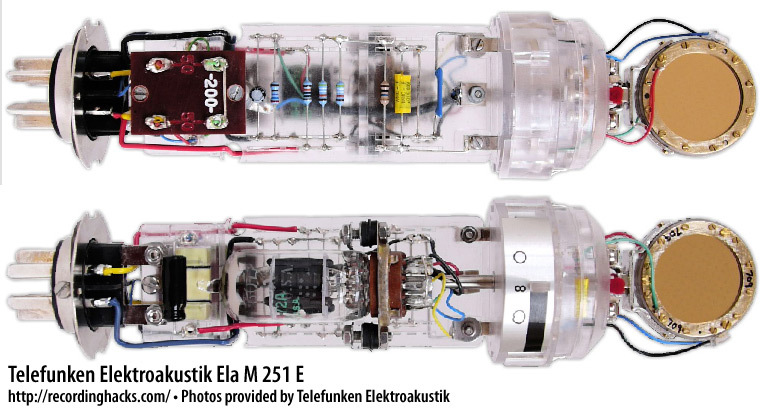 The 251F’s amplifier circuit is identical to the company’s 251E reissue; the tube is a JAN 6072A, and the transformer is custom-wound by Haufe. 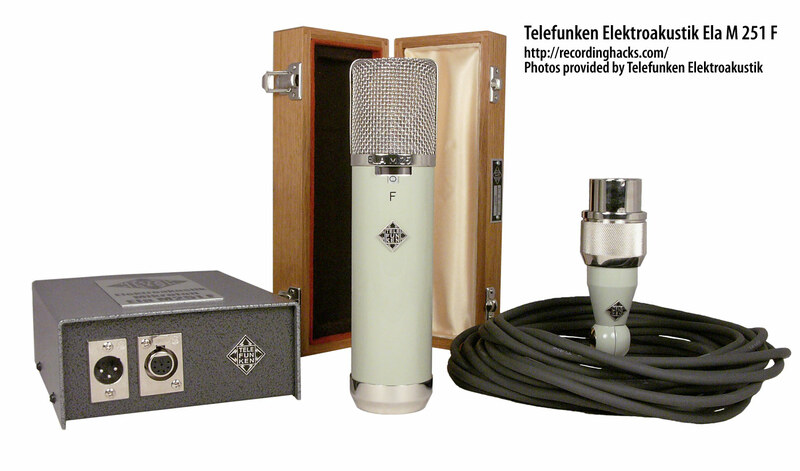 The original Telefunken 250/251 modular construction technique is retained. 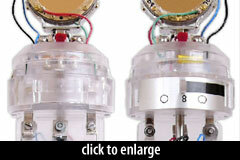 Note the similarity between the ElaM 250F and ElaM 251F — the sole difference is that the 251F has a third polar pattern: figure-of-8. The ElaM 251F “no frills” package included the 251F microphone, an imported power supply, a swivel mount, a hardwood storage box for the mic, and a power cable.